Today Rosehearty was bathed in sunshine and it was time to get back on the Castle Trail. 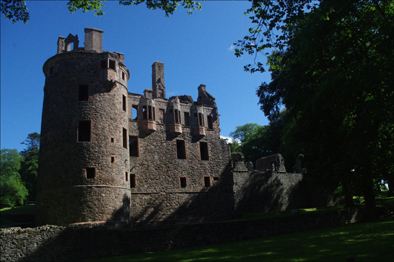 My first stop was Huntly Castle, number ten on the list and about an hour and a half drive from the Devron Hotel. Apparently, the earliest fortification on this site sheltered Robert the Bruce. 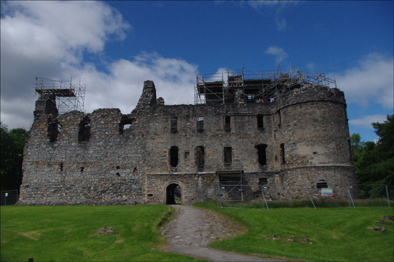 My next stop was Spynie Palace where the pretty lady steward at the visitor centre talked me into buying a guide book. 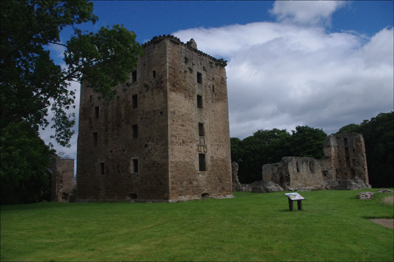 The palace was the residence of the medieval bishops of Moray. It once stood on the edge of a large sea loch giving safe anchorage for fishing and merchant vessels. But Synie loch’s size has become greatly reduced and is now some distance away. 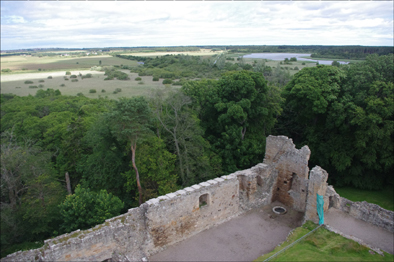 Mary Queen of Scots spent two nights here before defeating the Earl of Huntly at the Battle of Corrichie near Huntly Castle. 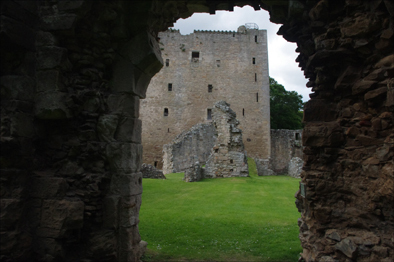 One of the delights of visiting ruined castles is that I get a chance to take some dramatic and dare I say “artistic” photographs of some of the impressive structures I see about me. The climb to the top of David’s Tower was scary but safe and the views from the top were breath taking. I drove on to Belvenie Castle which was a stronghold of the Black Comyns who were rivals to Robert the Bruce in the early 1300s. Mary Queen of Scots also stayed here, much later of course in the mid 1500s. 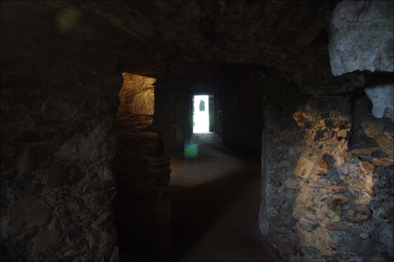 The castle contained some interesting nooks and crannies which were a delight to explore. Part of the interior of Belvenie castle. The three castles mentioned above were enough to take in for one day so I decided to drive the seventy or so miles back to Rosehearty where I ate a delicious evening meal of chicken and chorizo pasta.